We recently went on a family adventure that took us through Houston’s Chinatown. While we didn’t have time on that trip to explore things there, we certainly want to do so in the future. I was fascinated by the fact that the street signs were written in both English and Chinese. All of that brought back fond memories of our oldest son in kindergarten last year at Breck School (Episcopal) in the Twin Cities. He took Chinese and would have continued to study that language in later grades, too, if we had not moved to Houston. 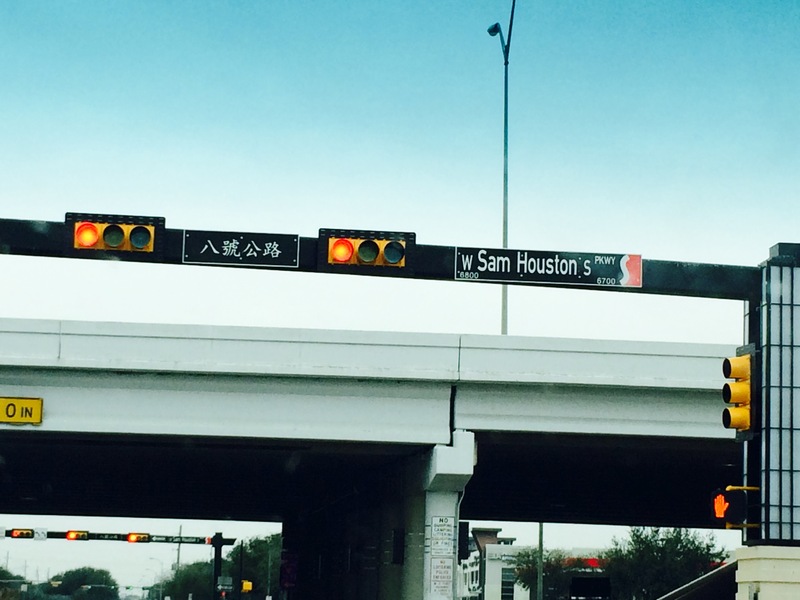 I’m not sure, however, that he would ever have learned how to spell “Sam Houston Parkway” in Chinese.